At Green’s, we often pride ourselves on our delicious desserts and cakes, as it says in the name! However, don’t let this take anything away from the great savoury products that we have too. Make Dinner time easy again with a simple Dumpling or Yorkshire Pudding mix, ready in minutes and simply delicious! See our recipes page to find great and unique ways to use our dinner products. All you need is water and Green’s classic dumpling mix to create divine dumplings that are deliciously light and fluffy. Such a simple and easy thing to make can bring an amazing amount of comfort to your home food. Bring new textures to the dinner table and excite classic soups and stews that warm up your friends and family, try it as soon as you can! Bake perfect Yorkshire puddings and classic pancakes every time, in the simplest way possible. 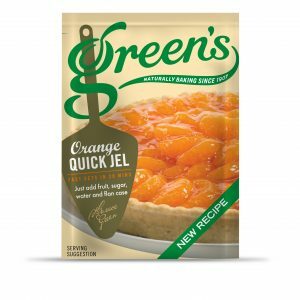 Green’s batter mix takes no time and ensures fluffy, delicious results that impress without fail!You can do it with Green’s.Made with care from natural ingredients with no artificial colourings by Green’s.